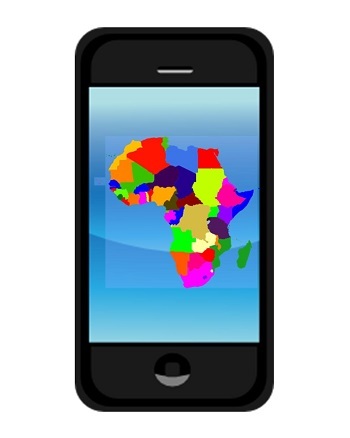 A startup comprised of 30 people is helping accelerate the growth of mobile commerce in Africa. In 2009, MFS Africa began offering a new mobile payments platform, allowing consumers to use their mobile devices to complete transactions. The platform was embraced by some of the continent’s largest telecommunications companies, which account for more than 500 million consumers combined. 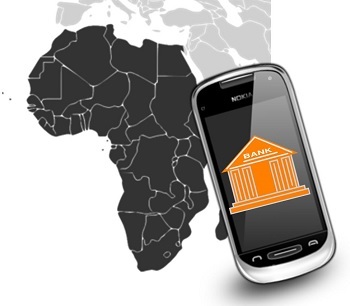 With smartphone penetration on the rise throughout Africa, the demand for mobile payments services is growing quickly. According to the World Bank, remittances, money that foreign workers send home to their families, had increased in sub-Saharan Africa by 2.2%, reaching some $32.9 billion. Many consumers are beginning to use their mobile devices to send money back home, seeing these devices as more convenient than traditional remittance processes. MFC Africa has been enabling consumers to participate in mobile commerce of all kinds, which has also made the remittance process easier for consumers overall. While smartphone penetration is on the rise in many African countries, the majority of mobile consumers have conventional, low-end devices. MFS Africa has developed a platform that these consumers can use, ensuring the mobile commerce is not solely the domain of those with smartphones and other high-tech gadgets. The firm has allowed some 55 million people in 17 African countries to connect to one another. Approximately 15% of its users are considered active, making two or more mobile payments every month. The growth of mobile payments may represent some promising economic opportunities for companies operating in Africa. As consumers become more mobile-centric, businesses are feeling the need to provide mobile services to these consumers. One of the issues these organizations will have to overcome, however, is security. As mobile payments continue to grow, security is likely to become a more problematic issue for consumers. Customers that have never had access to financial institutions are using smartphones to change their capabilities. Many of the countries in Africa have been extremely underserved by banks for a range of different reasons, but mobile payments are now bringing financial services to customers who have always been unbanked. This is especially true in Nigeria, where mobile money is becoming an important driver in the local economy. The Central Bank of Nigeria has launched a massive initiative to boost the use and access of mobile payments and money. Among the reasons that this is an important effort is that it will provide them with a tremendously larger market as it will mean that those who were underbanked or completely unbanked will suddenly be able to access financial services by way of their mobile devices. With mobile payments and banking, location no longer presents a barrier to being able to reach consumers. This access to mobile banking is bringing individuals who had been far removed from participation in much of mainstream commerce into the ability to take part in widespread economic transactions. Therefore, this means that consumers that had previously been outside of the center of commerce will be accessible to industries beyond simple payments and into pensions, insurance, and other areas. None of those industries had been able to establish physical locations that would allow them to be able to sell to consumers in the traditional way, but by using mobile commerce and accepting transactions over smartphones, this has changed the game, entirely. As the growth in telecom and smartphone and mobile technologies continues to grow and expand, and as the financial services industry increasingly rises to the challenge of offering mobile payments and banking services, the situation has altered across entire African countries. People who live in rural communities that are nowhere near phone lines and cables are gaining access to banking and transactions through financial institutions and telecoms such as UBA and Airtel, MTN and Diamond Bank, First Bank, Stanbic IBTC Bank, Ecobank and Globacom. Similarly, M-PESA has been making a tremendous splash in reaching the unbanked and rural Kenya, where the mobile money system has taken off extensively, with 17 million users (one third of the adult population of the country) and 40,000 agents. Every day, that service processes over 2 million transactions.